In the summer of 2005 the United States military embarked on a campaign to disrupt the actions of anti-coalition militias that were running rampant in the Pech area of the Kumar Province in Afghanistan. The operation was code-named Operation Red Wing. Operation Red Wing was conducted using Marines, aviators from the Army and Operators of the elite Navy SeALs. Lone Survivor is the story of one group of SeALS that were inserted into the region to perform reconnaissance and observation of a Taliban affiliated militia leader. The movie is based on the first –hand account of the events as told by former SeAL team operator, Marcus Lutrell. Lutrell wrote a book called Lone Survivor: The Eyewitness Account of Operation Redwing and the Lost Heroes of SEAL Team 10 that was used by director Peter Berg as the inspiration of the film. In my thoughts about this film after I left the theater I struggled to form an opinion that I felt was appropriate for the movie. Do I say that a movie about the ambush and killing of American servicemen was “Good”? Or, do I say that the overwhelming negativity of the story made it hard to enjoy it as a movie? What I settled on was a bit of a hybrid of the two. From the relationships perspective, there was great emphasis put onto the interactions of those four men who worked as a team, more like brotherhood. As they attempted to overcome the odds that they faced, you saw how their true dedication to each other and to what they were asked to do would motivate them when weaker men would just give in. Each main actor; Mark Wahlberg, Taylor Kitsch, Emile Hirsch, Ben Foster and Eric Bana, made the roles they were playing and the lives they were re-living very believable and honest. The various scenes of the deaths of the three SeALS that were on the mission with Lutrell are heart wrenching moments that you know are coming but still seem to surprise you. The deaths are all portrayed as heroic and yet humanizing. They were not “movie-deaths” at all, very real and very graphic. As a whole, I felt that movie was of a high quality in the acting and in the way it was made, but I have a hard time giving a recommendation to see it. I felt like an emotional train-wreck as I was walking out of the screening. I was not alone in that feeling as evidenced by the rest of the audience in the screening. As the audience filed out, no one spoke, there were no comments made, positive or negative, just silence. Somber, sullen, stricken silence. 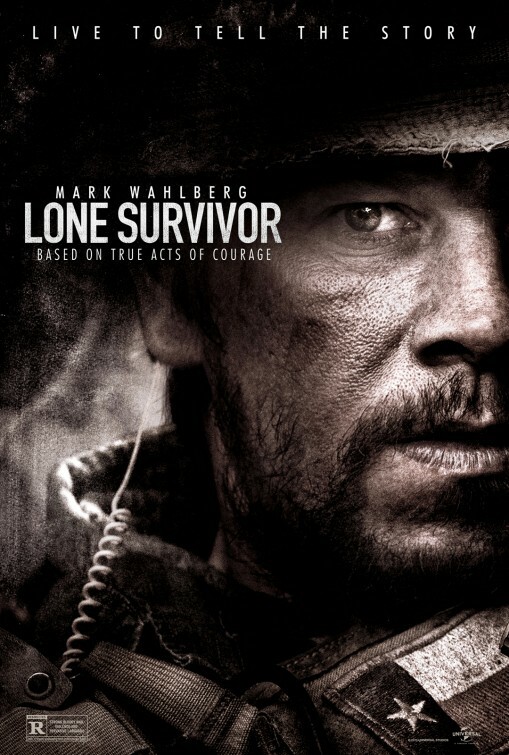 If you are looking to see a movie to just entertain you, then Lone Survivor is NOT it. It is an emotional train-wreck in waiting. If you want to see a movie that is an honest, well-made and truly genuine portrayal of the sacrifices that our servicemen and women are called on to make, then Lone Survivor is a perfect choice.